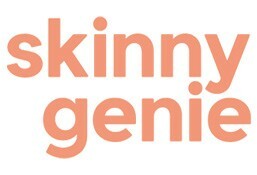 Skinny Genie is currently closed for delivery and it will open at . Light American breakfast favourite paired with organic agave syrup. Also available with organic honey. 243 kcal Nutrifacts: Gluten free, vegetarian, tree nut free & seeds free. Contains dairy & eggs. Free range eggs with feta cheese, semi- sundried cherry tomato, rocket leaves, zaatar, pine nuts & mixed herbs. 393 kcal. Nutrifacts: Gluten free & vegetarian. Contains dairy, eggs, tree nuts & seeds. Poached eggs, semi-sundried cherry tomato, baby spinach. 230 kcal Nutrifacts: Gluten free, vegetarian, dairy free, tree nut free & seeds free. Contains eggs. Eggs, rocket leaves, mixed herbs, thyme, parsley, salt, black pepper. 136 kcal Nutrifacts: Gluten free, vegetarian, dairy free, tree nut free & seeds free. Contains eggs. Greek yoghurt, gluten free oats, apple, raspberry, blueberry loaded with edible seeds, naturally sweetened with organic agave syrup. 333 kcal. Nutrifacts: Gluten free, vegetarian, eggs free, sugar free & tree nut free. Contains dairy & seeds. Homemade almond milk, gluten free oats, date dibbs, cranberry, apricots loaded with tree nuts & seeds, naturally sweetened with organic agave syrup. 521 kcal. Nutrifacts: Gluten free, vegan & sugar free. Contains tree nuts & seeds. Organic fava beans & chick peas, parsley, tomatoes, onions, garlic, lemon juice topped with mint leaves. 266 kcal. Nutrifacts: Gluten free, organic, vegan, tree nut free & seeds free. Blended tomato, cucumber, red capsicum, onion, jalapeno pepper, garlic, balsamic vinegar, lime juice, basil, mixed spices. 255 kcal Nutrifacts: Gluten free, vegetarian, eggs free & seeds free. Contains dairy & tree nuts. Pumpkin, onion, potato, leeks, star anise, mixed spices. 88 kcal Nutrifacts: Gluten free, vegan, tree nut free & seeds free. Green peas, onion, leeks, celery, extra virgin olive oil, chives, garlic, mint leaves. 122 kcal Nutrifacts: Gluten free, vegan, tree nuts free & seeds free. Shredded chicken breast, avocado, semi- sundried cherry tomato, kale, Parmesan cheese, red cabbage, parsley, chia seeds, lemon olive dressing, topped with croutons. 893 kcal. Nutrifacts: Gluten free & tree nut free. Contains dairy, eggs & seeds. Pumpkin, crumbled feta cheese, chick peas, edamame, mixed salad leaves, baby spinach, carrots, pumpkin seeds, paired with beetroot dip. 382 kcal Nutrifacts: Gluten free, vegetarian, eggs free & tree nut free. Contains dairy, soy & seeds. Slice asian chicken with shredded kale, mixed white & red cabbage, carrot, capsicums, sprinkled with spring onion, toasted cashew nuts and walnut dressing. 600 kcal. Nutrients: Guten free & dairy free. Contains: Tree nuts, soy & seeds. Healthy grilled falafel, Red & white quinoa, fresh orange segment, cherry tomato, topped with toasted cumin, pomegranate seeds, mint leaves and garlic yogurt dressing. 340 kcal. Nutrients: Gluten free, vegetarian & tree nut free. Contains: Dairy, soy & seeds. Red snapper, cucumber, feta cheese, tomato, red capsicum, onion confit, Kalamata olives, extra virgin olive oil, lemon juice, oregano, mixed herbs 256 kcal Nutrifacts: Gluten free, pescatarian, eggs free, tree nut free & seeds free. Contains dairy & fish. Grilled spicy chicken marinated with harissa, mixed capsicum, semi-sundried cherry tomato, baby spinach and harissa dressing. 470 kcal. Nutrients: Gluten free & tree nut free. Contains: Seeds. Red & white quinoa, cherry tomato, lentils, slice red radish, asparagus with grilled halloumi and mint & rocket dressing. 610 kcal. Nutrients: Gluten free, vegetarian & tree nut free. Contains: Dairy & seeds. Freshly slice grilled apple, kale, baby spinach, rocket leaves, beetroot topped with almond flakes, pumpkin seeds, fresh thyme, parsley and pomegranate dressing. 410 kcal. Nutrients: Gluten free & vegan. Contains: Tree nuts & seeds. Gluten free penne pasta with layered grilled eggplant, zucchini slices and baby mozzarella in pesto sauce topped with fresh basil leaves. 500 kcal. Nutrients: Gluten free, vegetarian & seeds free. Contains: Dairy & tree nuts. Homemade fettucine pasta naturally colored with beetroot mixed with Bolognese sauce, tomato sauce, parmesan cheese, onion, parsley & garlic. 645 kcal Nutrifacts: Gluten free, tree nut free & seeds free. Contains dairy & eggs. Quinoa, chicken, broccoli, mushroom, onion, cream, goji berries, garlic, truffle oil, sprinkled with chia seeds. 822 kcal Nutrifacts: Gluten free, eggs free & tree nut free. Contains dairy & seeds. Roasted beef tenderloin, mushroom, zucchini, edam cheese, onion confit, mixed capsicum in focaccia bread. 618 kcal Nutrifacts: Gluten free & tree nut free. Contains dairy eggs & seeds. Smoked salmon, tomatoes, light cream cheese, mixed salad leaves, lemon juice, chives in brown multigrain baguette. 528 kcal Nutrifacts: Gluten free, pescatarian & tree nut free. Contains dairy eggs, fish & seeds. Free- range eggs, chicken breast, mozzarella, sundried tomatoes, extra virgin olive oil, balsamic vinegar with avocado dip in ciabatta bread. 627 kcal Nutrifacts: Gluten free & tree nut free. Contains dairy eggs & seeds. Grilled chicken, mixed cabbage, beansprout with mushroom sesame sauce in spirulina wrap. 346 kcal Nutrifacts: Gluten free & tree nut free. Contains dairy eggs & seeds. May contain traces of soy. Slow- cooked lamb, cucumber, semi- sundried cherry tomato with eggplant dip in turmeric wrap. 448 kcal Nutrifacts: Gluten free & tree nut free. Contains dairy eggs & seeds. May contain traces of soy. Free range scrambled eggs, cucumber, rocket leaves, tomato sauce in pita wrap. 275 kcal Nutrifacts: Gluten free, vegetarian & tree nut free. Contains dairy eggs & seeds. Rice, ghee, star anise, cloves, salt, black pepper, cashew nut, and raisins. Milk, rice powder, sugar, cardamom, and saffron. Whole chicken , white onion , garlic, tomato, potato,carrot, mixed capsicum, tomato paste, turmeric, paprika powder, cumin powder, ghee, salt, and black pepper. Eggs, tomato, cinnamon powder, turmeric powder, tomato paste, and onion. Rice vermicelli, sugar, cardamom powder, saffron,rose water, egg, and edam cheese. Bezar spice, cinnamon powder, coriader, lemon, red snapper, rice, cloves, ghee, raisins, cashew nut, and saffron. Bezar spice, tomato, cinnamon powder, whole cloves,dried lemon, coriander, lemon, ghee, ginger, rice,salt, onion, and red snapper. Whole chicken, baby marrow, bezar spices, carrot, cinnamon powder, dried lemon, coriander, tomato, tomato paste, garlic, ghee, ginger, potato, and saffron. Lamb shank, turmeric powder, onion, garlic, ginger, bezar spice, cinnamon powder, cinnamon stick, cardamom, sultanas raisins, cashew, and tomato paste. Carrot, potato, zucchini, onion, bezar spice, tomato, cinnamon stick, dried lemon, garlic, ghee, ginger, cardamom, cinnamon powder, tomato paste, turmeric powder, cardamom powders, coriander, extra virgin olive oil. Slow- cooked lamb shank with ratatouille, cauliflower & mixed herbs 486 kcal Nutrifacts: Gluten free, dairy free, eggs free, tree nut free & seeds free. Marinated beef stroganoff with mixed quinoa, beetroot, broccoli, gherkins & parsley. 624 kcal Nutrifacts: Gluten free, eggs free & tree nut free. Contains dairy & seeds. Marinated beef meatballs in tomato sauce with broccoli, artichoke, potato, mixed capsicum, zucchini, semi- sundried cherry tomato & oregano. 361 kcal Nutrifacts: Gluten free, dairy free, eggs free, tree nut free & seeds free. Marinated chicken in yoghurt, masala sauce, mixed capsicum, Coriander paired with white basmati rice flavoured with Beetroot & cumin. 399 kcal Nutrifacts: Gluten free, eggs free & tree nut free. Contains dairy & seeds. Soft boiled eggs, baby spinach, smoked salmon, lime slice. 200 kcal Nutrifacts: Gluten free, pescatarian, dairy free, tree nut free & seeds free. Contains eggs & fish. Poached chicken breast, lemon zest, parsley. 104 kcal Nutrifacts: Gluten free, dairy free, eggs free, tree nut free & seeds free. Beef tenderloin, extra virgin olive oil, mixed herbs, garlic. 241 kcal Nutrifacts: Gluten free, dairy free, eggs free, tree nut free & seeds free. 129 kcal Nutrifacts: Gluten free, organic, vegan & sugar free. Contains tree nuts & seeds. 158 kcal Nutrifacts: Gluten free, organic, vegan & sugar free. Contains tree nuts & seeds. 160 kcal Nutrifacts: Gluten free, organic, vegan & sugar free. Contains tree nuts & seeds. 176 kcal Nutrifacts: Gluten free, organic, vegan & sugar free. Contains tree nuts & seeds. 300 kcal Nutrifacts: Gluten free, vegan & sugar free. Contains tree nuts & seeds. 204 kcal Nutrifacts: Gluten free, vegan & sugar free. Contains tree nuts & seeds. 262 kcal Nutrifacts: Gluten free, vegan, sugar free & seeds free. Contains tree nuts. 206 kcal Nutrifacts: Gluten free, vegan, sugar free & seeds free. Contains tree nuts. Made with vegan cream, gluten free cookies, light cream cheese & lemon juice topped mango puree. 276 kcal Nutrifacts: Gluten free, vegetarian & seeds free. Contains dairy, eggs & tree nuts. Made with vegan cream, gluten free cookies, light cream cheese & lemon juice topped raspberry puree. 272 kcal Nutrifacts: Gluten free, vegetarian & seeds free. Contains dairy, eggs & tree nuts. Gluten free flour, eggs, butter, 60% dark chocolate. 488 kcal Nutrifacts: Gluten free, vegetarian, tree nut free & seeds free. Contains dairy, eggs & soy. Cream, eggs, full cream milk, white chocolate, 60% dark chocolate. 441 kcal Nutrifacts: Gluten free, vegetarian, tree nut free & seeds free. Contains dairy, eggs & soy. Mascarpone cheese, eggs, cream, full cream milk, sponge cake, coffee, hazelnut. 267 kcal Nutrifacts: Gluten free, vegetarian & seeds free. Contains dairy, eggs & tree nuts. 203 kcal. Nutrifacts: Gluten free, vegetarian, tree nut free & seeds free. Contains dairy & eggs. May contain traces of soy. 139 kcal. Nutrifacts: Gluten free, vegetarian, dairy free & seeds free. Contains eggs & tree nuts. May contain traces of soy. 182 kcal. Nutrifacts: Gluten free, vegetarian & dairy free. Contains eggs, tree nuts & seeds. 357 kcal Nutrifacts: Gluten free, vegetarian, tree nut free & seeds free. Contains dairy, eggs & soy. 255 kcal Nutrifacts: Gluten free, vegan & tree nut free. Contains seeds & soy. Sugar, eggs, pumpkin, extra virgin olive oil, 60% dark chocolate, pistachio, white rice flour, brown rice flour, potato starch, tapioca flour, vanilla extract, cinnamon, baking powder, salt 448 kcal. Gluten free, vegetarian, dairy free & seeds free. Contains eggs, tree nuts & soy. 743 kcal Gluten free, vegetarian, dairy free & seeds free. Contains eggs & tree nuts. Cream, 60% dark chocolate, eggs, icing sugar, white chocolate, full cream milk, almond flour, butter, cocoa powder, gelatin, sugar, gluten free flour, baking powder, hazelnut 399 kcal Nutrifacts: Gluten free, vegetarian & seeds free. Contains dairy, eggs, tree nuts & soy. Cream, raspberries, sugar, eggs, almond flour, icing sugar, gelatin, gluten free flour. 295 kcal Nutrifacts: Gluten free, vegetarian & seeds free. Contains dairy, eggs & tree nuts. Pastry powder, eggs, 60% dark chocolate, full cream milk, sugar, almond flour, icing sugar, gluten free flour, cocoa powder, walnut. 570 kcal Nutrifacts: Gluten free, vegetarian & seeds free. Contains dairy, eggs, tree nuts & soy. Gluten free flour, butter, feta cheese, sugar, eggs, zaatar, sunflower oil, instant yeast, salt.245 kcal. Nutrifacts: Gluten free, vegetarian & tree nut free. Contains dairy, eggs & seeds. May contain traces of soy. Gluten free, danish cream, butter, sugar, raspberries, blueberries, eggs, sunflower oil, instant yeast, salt. Add the description 168 kcal. Nutrifacts: Gluten free & vegetarian. Contains dairy, eggs & seeds. May contain traces of soy & tree nuts. 180 kcal. Nutrifacts: Gluten free & vegetarian. Contains dairy, eggs & seeds. May contain traces of soy & tree nuts. Flour no. 1, eggs, sunflower oil, sugar, instant yeast, butter, salt. 116 kcal Nutrifacts: Gluten free, vegetarian & tree nut free. Contains dairy, eggs & seeds. Flour no. 1, flour no. 6, eggs, sunflower oil, sugar, instant yeast, butter, flax seeds, sesame seeds, sunflower seeds, salt. 122 kcal Nutrifacts: Gluten free, vegetarian & tree nut free. Contains dairy, eggs & seeds. May contain traces of soy. Gluten free flour, eggs, sunflower oil, sugar, instant yeast, butter, salt. 866 kcal. Nutrifacts: Gluten free, vegetarian & tree nut free. Contains dairy, eggs & seeds. 984 kcal. Nutrifacts: Gluten free, vegetarian & tree nut free. Contains dairy, eggs & seeds. May contain traces of soy. Gluten free flour, butter, sugar, eggs, cocoa powder, vanilla extract, baking powder. 1625 kcal. Nutrifacts: Gluten free, vegetarian, tree nut free & seeds free. Contains dairy & eggs. May contain traces of soy. Almond flour, gluten free flour, eggs, carrots, sugar, salt, lemon zest, baking powder. 1559 kcal. Nutrifacts: Gluten free, vegetarian, dairy free & seeds free. Contains eggs & tree nuts. May contain traces of soy. Gluten free flour, sugar, banana, eggs, sunflower oil, walnuts, medjool dates, apple puree, baking powder, mixed spices. 1453 kcal Nutrifacts: Gluten free, vegetarian & dairy free. Contains eggs, tree nuts & seeds. 206 kcal per piece Nutrifacts: Gluten free, vegetarian & tree nut free. Contains dairy, eggs & seeds. 239 kcal per piece Nutrifacts: Gluten free, vegetarian & tree nut free. Contains dairy, eggs & seeds. 218 kcal per piece Nutrifacts: Gluten free & vegetarian. Contains dairy, eggs, tree nut & seeds. 208 kcal per piece Nutrifacts: Gluten free, vegetarian & tree nut free. Contains dairy, eggs & seeds. Nutrifacts: Gluten free & vegetarian. Contains dairy, eggs & seeds. May contain tree nuts. Lemon, apple, ginger, cayenne pepper. 107 kcal. Nutrifacts: Gluten free, organic, vegan, sugar free, tree nut free & seeds free. Kale, spinach, celery, parsley, kiwi, cucumber, apple, lemon, ginger. 219 kcal. Nutrifacts: Gluten free, organic, vegan, sugar free, tree nut free & seeds free. Pineapple, apple, mango, mint leaves. 111 kcal Nutrifacts: Gluten free, organic, vegan, sugar free, tree nut free & seeds free. Beetroot, carrot, lemon, apple, ginger. 119 kcal. Nutrifacts: Gluten free, organic, vegan, sugar free, tree nut free & seeds free. Low fat yoghurt, avocado, agave syrup, lemon juice, matcha powder. 316 kcal Nutrifacts: Gluten free, vegetarian, eggs free, sugar free, tree nut free & seeds free. Contains dairy. Low fat yoghurt, strawberries, blueberries, raspberries, agave syrup. 241 kcal Nutrifacts: Gluten free, vegetarian, eggs free, sugar free, tree nut free & seeds free. Contains dairy. Low fat yoghurt, mango, agave syrup. 235 kcal Nutrifacts: Gluten free, vegetarian, eggs free, sugar free, tree nut free & seeds free. Contains dairy. 616 kcal. Nutrifacts: Gluten free, vegan, sugar free & seeds free. Contains tree nuts. 122 kcal. Nutrifacts: Gluten free, vegetarian, eggs free, sugar free, tree nut. Free & seeds. Contains dairy. 110 kcal. Nutrifacts: Gluten free, vegetarian, eggs free & tree nut free. Contains dairy & seeds. 189 kcal. Nutrifacts: Gluten free, vegetarian, eggs free, tree nut free & seeds free. Contains dairy.